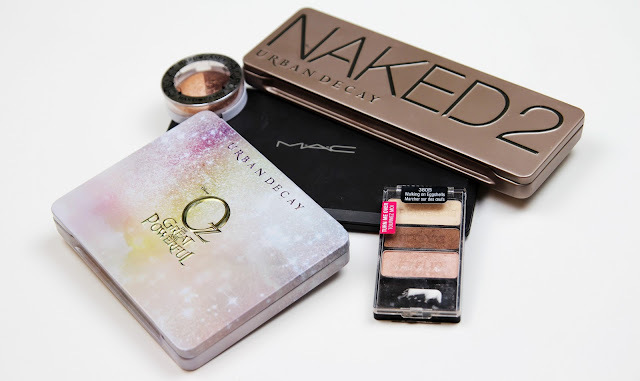 AndreaMarie - YT: Top 5: Eyeshadow Palettes! Well hello again, I am back with my first beauty post in quite some time. After recently going through and downsizing my collection I have started to realize that I own a ton of palettes, but how many do I actually reach for... and how many do I actually need. I thought I would do a post to show you my most used and most loved beauties in my collection! First we will start off with my current ongoing project, my MAC Pro 15 pan palette. It would be silly if I didn't include this palette in my favorites because each shadow has been hand picked by yours truly! MAC is known for having the most amazing variety and quality of shadows on the market today, and they are actually quite affordable... Well in comparison to some brands! In this palette that I have put together I have an array of neutrals, from taupes to berries, to champagnes and pinks. I love every shadow in this palette and I am super excited to finish filling this bad boy up! I am not going to go too much into this palette because I've already done a lengthy review and tutorial using it, but this is my favorite "fun" palette! Urban Decay is another brand that never disappoints with their shadows, this palette is no exception. With the variety of shadows the looks that I have created with this palette have ranged from fun and colorful, bright and glittery, and even dramatic and smokey. The shadow duo "Aura" is my favorite, the duo chrome shades are absolutely stunning. Now don't get my wrong this palette does have some minor flaws, with some fall out. But even then it has still made it's way into my favorites! Here is another palette where I am not going to go a whole lot into, this one because it is a popular almost "cult classic" palette. I was late to jump onto the bandwagon with this palette, but when I hopped on I never thought of jumping off and never looked back. This palette is perfect for everyone. Another palette with a ton of variety, well a variety of neutrals! I prefer this palette to the Naked 1... But I think that is just personal preference. The shadows are velvety smooth, and blend like a dream. A must have in everyones collection! The last two palettes I am going to tell you about can be found at your local drugstore or Walmart. The first (left) is Hard Candy's "Peace"... I know I know this is a duo... but it's just amazing. I think this shadow is about 4$ or so but OH MY GOODNESS it is so heavenly. 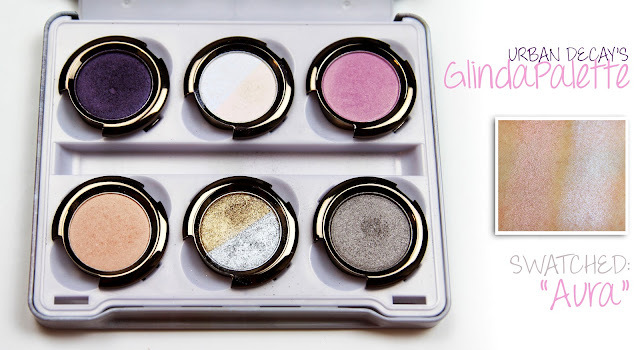 The shadows are extremely pigmented and they blend like a dream. Sometimes I will wear the champagne color all over the lid and then later in the night I will work the chocolate color into my crease, so perfect! The next is another popular drugstore love, Wet 'N' Wild's "Walking On Eggshells". Every time I use this palette it reminds me of Neapolitan ice cream. A lot like "peace" it is a great palette with some great neutrals. But you still have the ability to create a few different looks with this super affordable drugstore find. I really recommend trying out Wet 'N' Wild's shadows if you have no already, I am addicted!! What eyeshadow palette could you never live without?? I'm obsessed with the naked 2 palette too! It has such a great mix of colors. I've never tried that wet n wild palette, but it looks amazing! Yay! Lovely to see a post from you, Andrea! I hope everything is going well at your new job! I ordered the Glinda palette this week actually after seeing swatches of Aura! I can't wait for it to arrive! 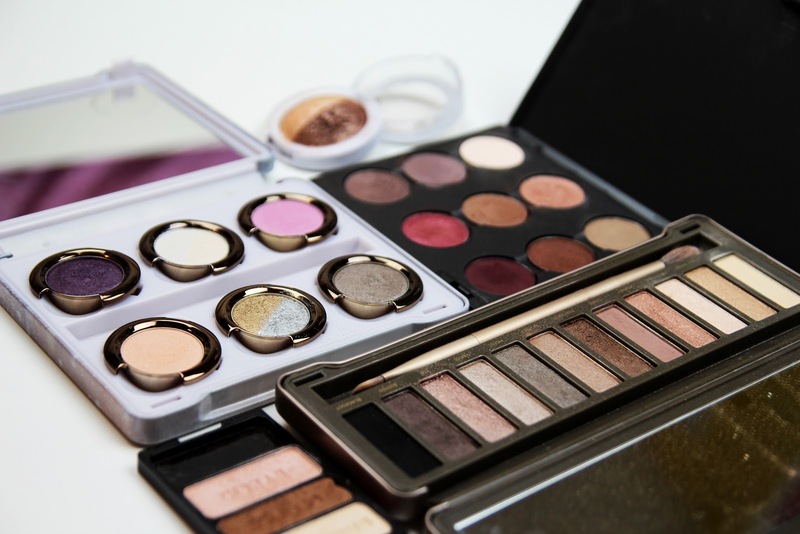 My favorite can't-live-without palettes are the original Naked, MUA's Undress Me Too (a Naked2 dupe), and recently Wet n' Wild's trio called Silent Treatment. YOU are the one who opened my eyes to the great quality and value of Wet n' Wild's eyeshadows so a big THANK YOU for that! I would have to keep my Sugarpill Heartbreaker and my Inglot palettes (I just did a blog post of my Inglot collection) with me. I love your MAC shades; they all look so pretty! My favorite palettes are the NAKED2 (I don't own the original NAKED but I think I would like it just as much), LORAC Pro Palette and MAC shadows in all that glitters, woodwinked, mulch and satin taupe :). I love all of your choices as well! I really do need to try out Wet N' Wild. This such a good post and all of these palettes look amazing!